in Wichita Falls, Texas under judge Mr. John F. Booth. Lone Star-Lousiana Toy Fox Terrier Association under Ms. Karen Brancheau. 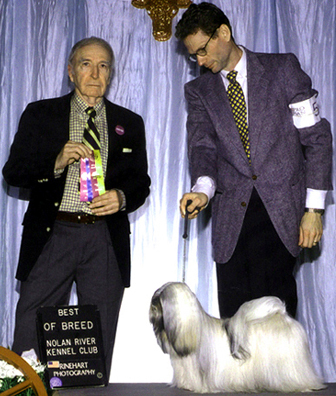 Joey is the first American Champion for his sire CH Sassy Lane's Artic Ardy and the second for his dam Ardy's Make No Mistake. He is owned by Floyd Woodle of Texarkana, Texas. 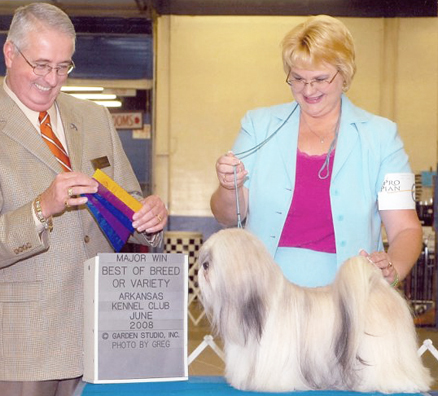 "Snuggles" finished his UKC Championship in only 4 shows at only 7 months old. He finished his American Championship with 3 majors. 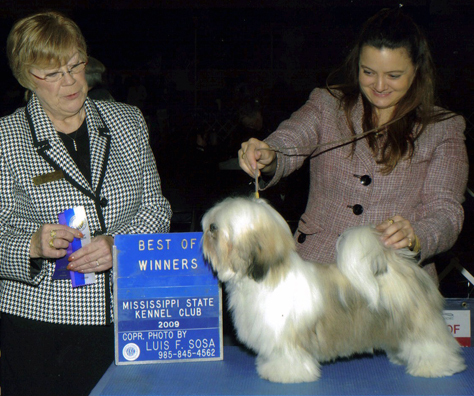 Snuggles is the sire of AmCH/Int'l CH Neelam's Golden Sami. Taz completed his American Championship in record time at only 7 months old!!! North Texas Non-Sporting Association show at the Nolan River KC show. giving Taz his first major win. going Best of Winners and Best of Opposit under judge Mr. Kent H. Delaney. 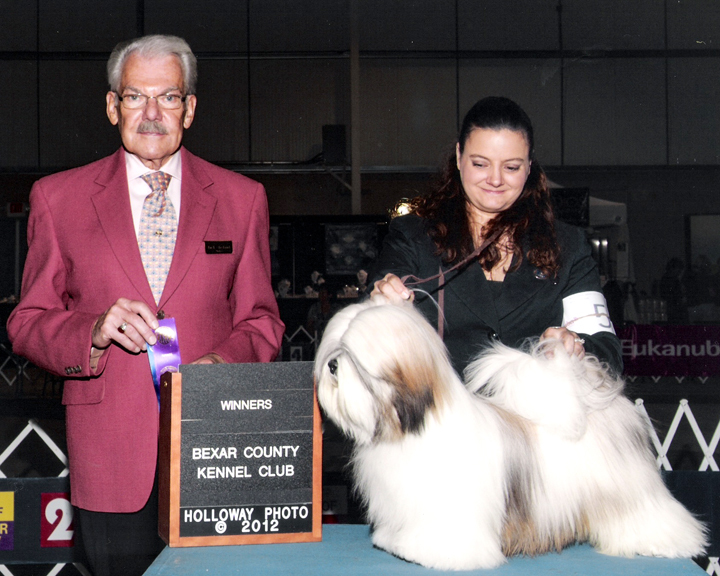 The following day Taz picked up two more points with another Best of Opposit under judge Mrs. Eva E. Berg. 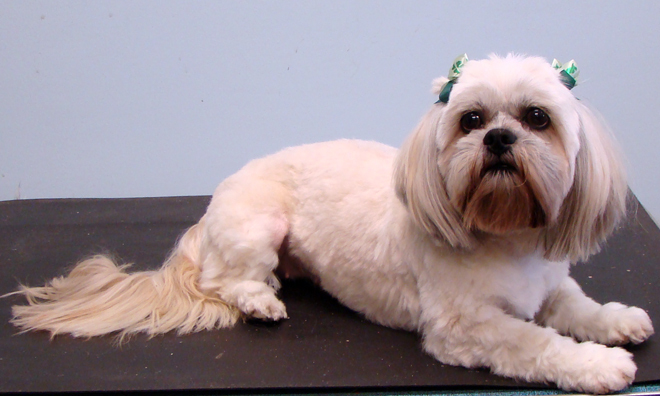 In AKC - 1 Weekend - 4 Shows - 4 Majors at the Elk City KC shows!!! 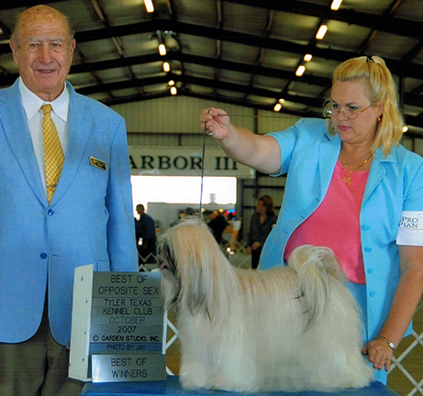 Special thanks to handler/breeder Sue Cannimore for making the show come together!!! 2 Weekends - 4 Shows - 4 Group Placements including a Group 1 was all it took for nine month old Kandan to finish is UKC title! out of "Saturday" AmCH My Thai's Saturday Night Dance ROM.